Want to add life to your room? Do you want to have something to show off to your friends? 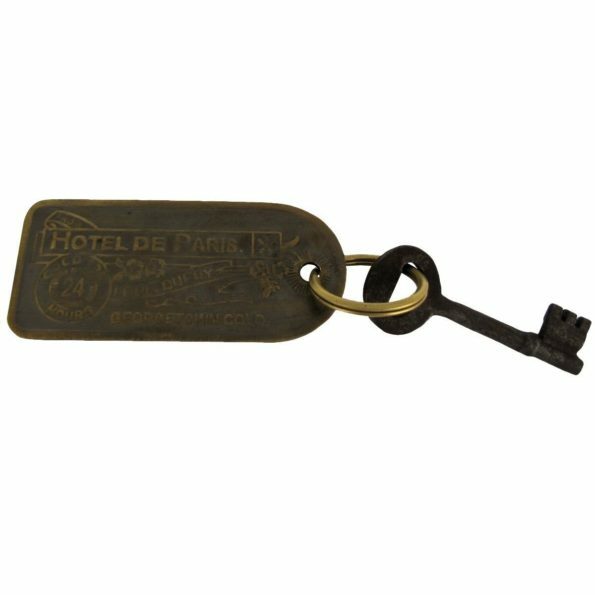 Why don’t you get yourself an Old West Hotel Whore House Brothel Room Key? With this key, you could have opened a door to a brothel house back in the days when cowboys used to roam the lands. Show off to your friends how your previous life went before you died or just keep this key to complete your old-western memorabilia. On the front of the key, it reads “Hotel De Paris Good For 24 Hours Georgetown” and on the back, it reads “First Class Wine, Women and Song One High Class Lay Madame Sophies Motto: Satisfaction Guaranteed”.